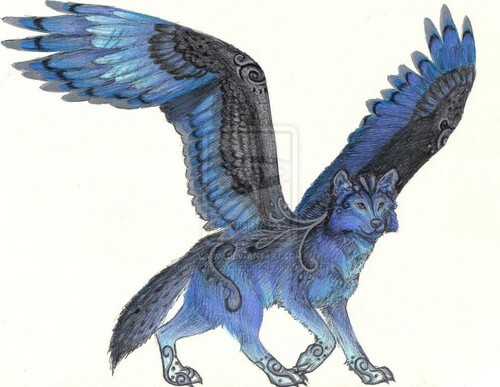 Sky the blue winged wolf. Sky is the last o f his kind in this world.. HD Wallpaper and background images in the anime animal club tagged: photo. Sky is the last o f his kind in this world.